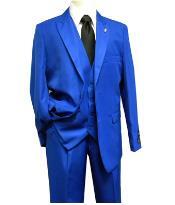 Falcone brand launched its luxury suit collections over 35 years ago at very reasonable price. Since, the traditional patterns were the regular and selective wardrobe collections in those times Falcone made a breakthrough in suit varieties by introducing stylish features to the fashion minded man. The specialty of the brand rose with its emphasis on interesting fabrications, patterns and colors. The brand tends to reach its customers massively through its quality tailoring methods. The brand gives out its exotic suit collections with the latest fashion, superior quality, fabrication and fine workmanship along with excellent service and reasonable prices. Premium quality fabric material is used for construction that not only gives durable texture but also remains skin friendly. Breathable lint offers relaxed feel on the wearer. Dyes, lint and other materials undergo a testing and treatment process in order to confirm only the high end products are been used for crafting the quality suit. Falcone’s wedding suits for men is one of the excellent collections that spots bridegroom special from the crowd. Huge variety of models and colors are available with appealing features. Suits are crafted from high quality microfiber that gives life to the jacket making it extremely durable. Single and double breasted model are available that features peaked, shawl and notched collar finish with full length sleeves and functional pockets. Designer, embroidery, printed and modern collections are offered. Give a sharp and stunning look by owning Falcone three piece men’s suit. Different varieties are available with range of style features. The luxurious suit is the ideal choice for high end meetings, office wear, procession, parties and fashion galas. Features variety of lapel finish, functional pockets, double vents, 2 to 6 buttoned inner vest. 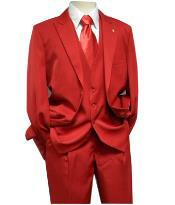 Handsome and elegant men’s fashionable zoot suit from Falcone features versatile fits and appealing features. Jacket is fully lined with a stylish collar finish and spacious pockets. Each collection is made of 100% virgin quality fabric that shows tolerance against wear and tear. Royal shades add richness to the suit. Single breasted and double breasted coats are available. Men’s safari long sleeve suit collection is one of the high selling products of Falcone’s wardrobe collection. High quality fabric offers extreme smoothness and comfort making it an ideal wear for summer. Features four detail buttons on each cuff, two flap buttoned chest pocket, two flap buttoned front pockets, four interior pockets as well as a notched lapel finish. Get the comfort combined debonair look with Falcone’s leisure suit. Special sewn techniques make this wear more special than the other regular collection. Premier quality fabric gives smooth feel on body. The suit fits on versatile builds. Collections are available in different models and colors that give the expected look on modern men.